Here is the list of upcoming JV giveaway events for June 28, 2010. Here is the list of upcoming JV giveaway events for June 21, 2010. Here is the list of upcoming JV giveaway events for June 14, 2010. People are going to be signing up left, right and center. The people who signup will also be able to sign up and download your products as well, leaving you with hundreds of subscribers. Not only that, but there’s also a 2,000 bucks cash contest. So I’ll see you there! No Money System – Does “Free Money” Really Exist? Nearly every day I receive an email from a reader who is struggling to earn their first dollar working from home. More often then not, they tell me that they really want to make money on the Internet but they don’t want to spend any money to get started. Personally, I am more than happy to invest money into my business if I know I can make a profit. If I can spend $20 to make $30 i’ll do it over and over again all day long. However, I understand that some people are just not in a position where they can spend a lot of money. Is it really possible to make money on the Internet without having any money to spend? I’ve been looking around for awhile now to find a system that people can use to make money that won’t cost them any money to start. The best method I have found for me is to make money with affiliate marketing. Unfortunately if you don’t already know what you are doing learning all of the necessary steps to become a successful affiliate marketer can be quite a daunting task. The No Money System is a 30-part video training package with about 289 minutes of total content, or almost 5 hours of step-by-step content. This massive video package will show you step-by-step a complete affiliate marketing system from start to finish. This is a complete system that will show you how to make money using only free resources that are readily available on the Internet. I am so excited that I can finally offer this system to you that I have decided to slash the price of the No Money System for a limited time. But don’t wait! Depending on the response i’ll probably be raising the price really soon. Also, if you act right now I will even include the master resell rights to this fantastic product. 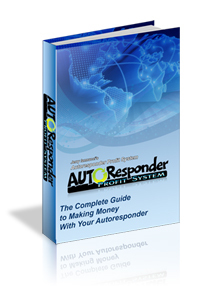 This will allow you to resell the No Money System and keep 100% of the money you make. I can’t offer the MRR rights for very long so grab your copy now! Here is the list of upcoming JV giveaway events for June 7, 2010. Welcome to June! It’s a new month and that means it’s time for me to dig out my safelist stats from last month and see what are the top safelists right now based on my current advertising campaigns. Not a lot of news to report for last month. I did weed out about half a dozen smaller safelists that I had been using which were not producing a lot of sign-ups. It was hard because most of these safelists were still bringing in a few sign-ups every month but as my list of safelists that I use daily continues to grow I find myself having less time to focus on the sites that are bringing me the best results. That means I now have some free time to test out some newer sites and to retest some sites that I haven’t used in a very long time. While I don’t have stats for them yet you can expect to find List Zillion, State of the Art Mailer System, and Reactive Ads in here next month. Speaking of newer sites… There are a lot of good programs out there that go right over my head because I can’t always distinguish them from all of the junk. If you know of any safelists or viral list builders that are working for you but you haven’t seen me mention here feel free to post your referral link in the comments. Ok, time for the stats. Over the last few weeks I have been promoting my splash pages in Sweeva and have gotten some really interesting feedback. I decided that instead of just advertising one splash page in my safelist ads I would put three of them into a rotator and advertise that instead. I’ve been doing this for the last two weeks. So far so good. All of the splash pages that I am promoting on these safelists are being used to promote my site Safelist Marketing Tactics. Not a great month, actually. List Effects managed to hang on to the top spot again but just barely. Everything else seems to have either stayed the same or dropped slightly. As usual I should point out that these are my own personal stats from promoting my own personal splash pages. 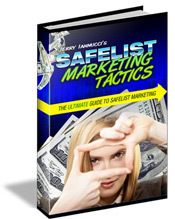 These numbers are only meant to be a guide to help you decide which safelists and viral listbuilders are worth trying. Your results will probably be different from my own so the only way to know for sure which sites work best for you is to track your own results. You can get a free link tracker from TEToolbox. Sorry I have been a little bit quiet lately. There honestly hasn’t been a whole lot going on. But today I have some pretty big news. It’s a brand new program that just launched this morning from my buddies Paul Kinder and Scott Martin (yes, I really do know all these people). It’s called TE Command Post! Paul and Scott have designed and built a site that I think fills a HUGE gap in the traffic exchange market. It’s something that surfers have needed for years without ever really knowing it. * All With Push Button Simplicity Right Now! And the best bit – yep, it’s free! * Up to the minute account information for every listed exchange almost instantly. * Your links appear in Paul’s emails so you get to lay back and let an email master make you commissions! That’s a screen shot from inside my TE Command Post account. I had no idea I had so many unassigned credits laying around! But TE Command Post found them for me. Now I can easily login to each of those accounts and assign all of my credits. That’s how many unassigned banner impressions I had. Wow! BUT… there is an absolutely HUGE list of extra features for upgraded members too (I know because I am using them). PLUS… a special launch promotion where you can lock in up to 88% discount – secured for life! The special launch discount is expected to sell out quickly and will only be available for a few short days! Click Here to Join TE Command Post.